Harry N. Abrams, 9780810982987, 288pp. Art Corriveau holds an MFA in writing from the University of Michigan. His writing has received great reviews from School Library Journal, Booklist, Kirkus, and many others. 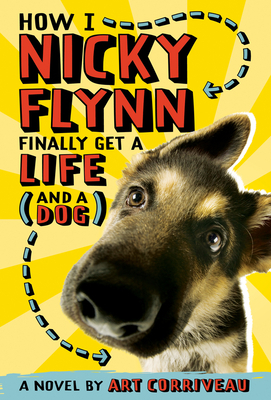 Booklist praised How I, Nicky Flynn, Finally Get a Life (and a Dog), his first middle-grade novel, for its “vividly drawn” characters. He lives in Vermont.